A Bald Eagle in Boston. Snowy owls on Plum Island. While it is the Year of the Horse according to the Chinese calendar it has been the Year of the Birds for us. 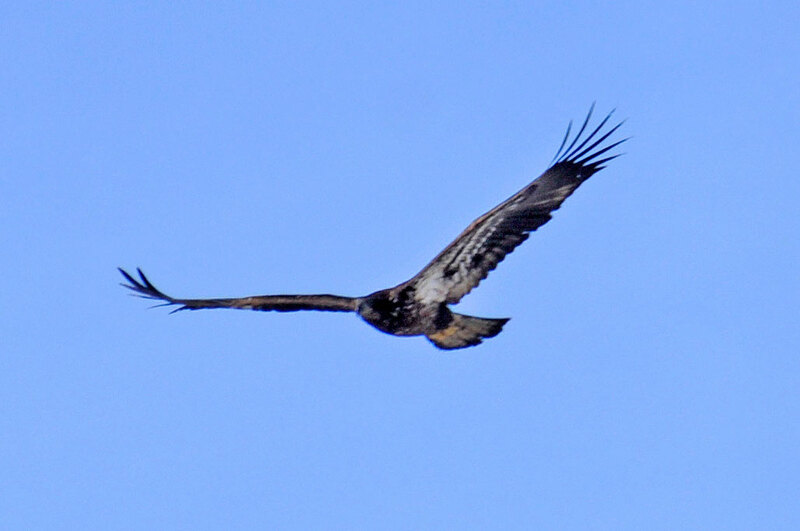 Last Saturday, we had the opportunity to attend the Merrimack River Eagle Festival in Newburyport. 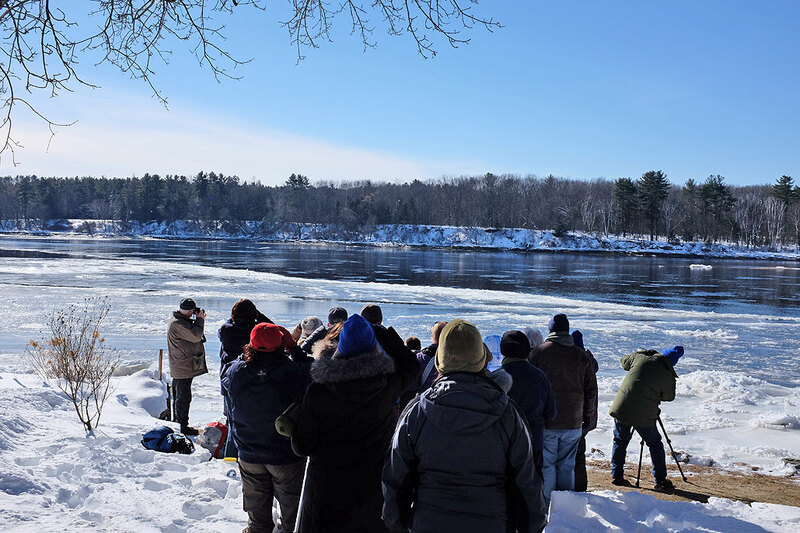 The annual event celebrates the seasonal return of bald eagles to the Merrimack River area. 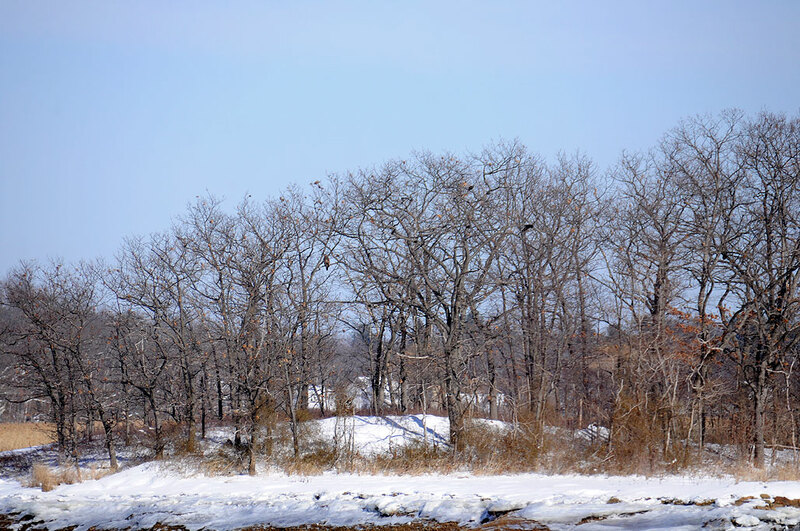 It was an opportunity to observe bald eagles in their habitat and learn more about these majestic creatures. The organizers for the Eagle Festival had marked out viewing spots along the river. Folks may go to the sites at their own pace, but the way to go is to sign up for the “eagle tour.” The tour was free and lasted an hour and a half. The two naturalists on the bus (Candace and Jim in our case) helped spot the birds and answer questionss about the birds and the habitat. Bald eagles are to be found around open fresh water. Only the adults have the distinctive white heads, but immatures have the same impressive size and wingspan (up to eight feet). We saw eagles soaring far off in the distance almost immediately. With the 18-300mm Nikkor, we were able to see this one perched on a branch overlooking the open water (18mm, 300mm, 300mm: cropped, 100%). At our second site, we got a bit closer to the eagles, but they were still a ways off. Most of them were on a little patch called Ram Island. There is an eagle sitting in the trees on the island across the water (18mm, 300mm, 300mm: cropped, 100%) blending in nicely with the surroundings. The best spot of the day for us was definitely the Deer Island site near the Chain Bridge. It was our last stop and like all the other stops, we saw a few eagles way off in the distance. For some reason, one eagle decided to put on a show and came really close to the group. It did some spectacular flybys and gave us several fantastic opportunity to see the markings under it wings. We were going to bring the Vanguard spotting scope, but decided to bring the Vanguard 8×42 Endeavor and the Brunton 10×32 binoculars instead. The main reason was that we didn’t know how much time we would have to set up. As it turned out, that was the right decision. While spotting scopes would let us see objects which further away, the binoculars gave us more mobility, especially when the eagle was circling overhead. 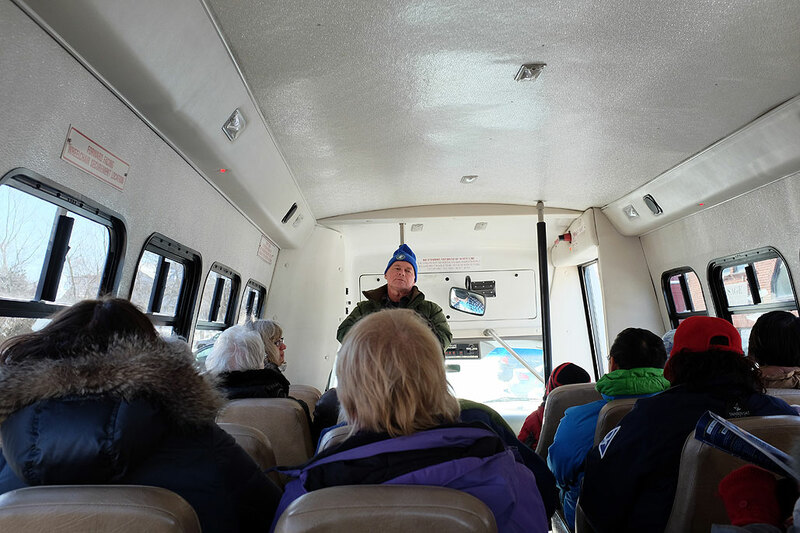 Along with the outing to the various eagle viewing sites, there were also talks at the Mass Audubon Education Center at Joppa Flats. One of the women on the bus told us about the Raptor talk. We stopped by after the tour and were glad we did not pass on it. 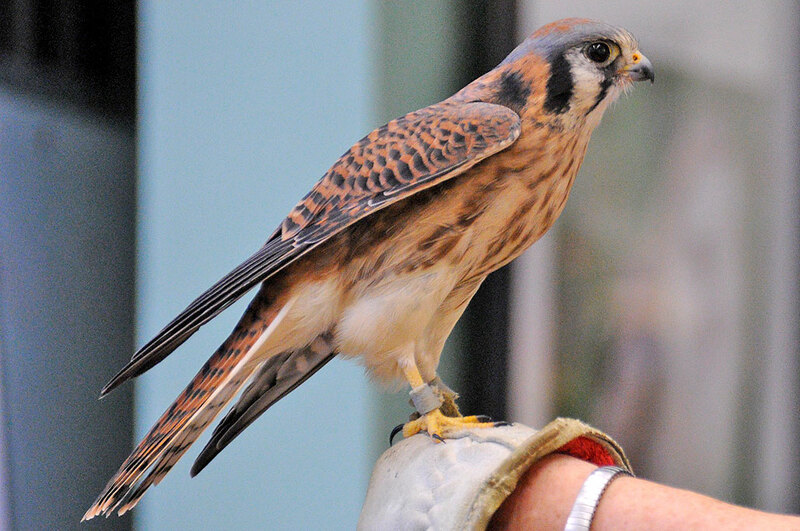 The speaker from Drumlin Farm brought along a Broadwing Hawk, a Kestrel, and a Red Tail Hawk for all to see. Those birds were all injured in some way and now lived on the farm. They are still wild, but are now too familiar with people to be released. The first bird was a Broadwing hawk, and amazing bird which, surprisingly, is only about a pound and a half! Broadwing Hawks will migrate together in a large group (60,000+) call a “kettle.” The speaker said that Wachusett MA is actually a great place to see them gather in September before heading south. We will have to set a reminder to go in the Fall. The last bird was a Red Tail Hawk. Clearly, this Red Tail hawk is not shy about striking a pose. This huge bird was born blind in the right eye. When found, it was starving (kicked out of the nest because of the defect) and would have certainly perished. The folks at Drumlin Farm brought it back to health and now lives a very good life at the farm. 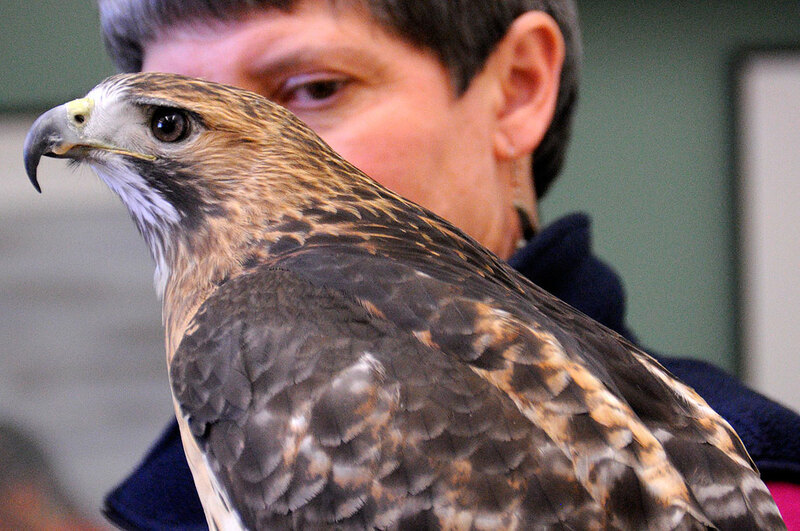 Since this hawk does not have stereo vision, it cannot hunt. However, just because it cannot hunt does not mean it is not deadly. It still has a beak and talons to tear and rip prey apart. We came away from the Eagle Festival with a new appreciation of eagles and other raptors. These bird of prey are magnificent, but they also need our protection. Since they are predators, they are particularly sensitive to environmental pollutants (mercury, lead, etc) which concentrates at successive steps along the food chain. Breeding programs and habitat preservation are important steps in helping these creatures counter the effects of urban growth. We urge readers to learn more about these fascinating creatures and join in their protection.